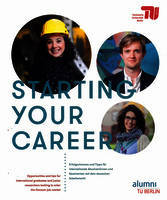 GPE Global Production Engineering: Thinking about your own business? TU Berlin can help you with that! Some of us want to set up their own business instead of making a good career. But how to start? Look at the experience of our GPE alumni, Stylianos Chiotellis. He had been wanting to set up his own business for quite a time before the new CEO got a valuable support from TU Berlin´s Centre for Entrepreneurship and the EXIST program. 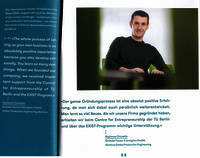 His story is also published on pages 32-33 in “Starting your career” booklet, published by TU Berlin. I will attach the scans for your convenience.